Sometimes, trying out beta version of an app can lead to a sore experience that ultimately changes your perception of the app even before developers roll out the final build for public consumption. Something similar happened to me when I installed the first beta of Sparrow Mail around nine months ago. 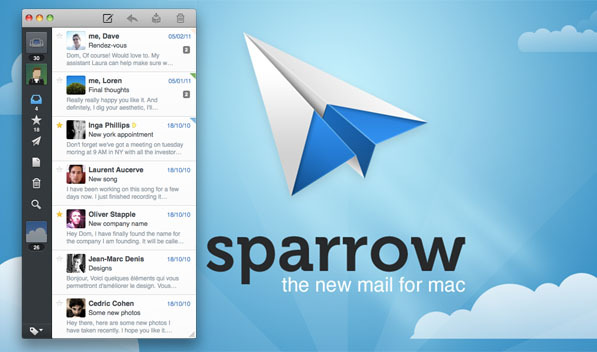 Sparrow, back then, was a Gmail-only client that had taken a leaf out of Tweetie’s book. I abandoned the app after a few betas as the design seemed too minimal & lacking important functionality, marking it as another wannabe mail client for the Mac. I wish I had stayed on to experience the revolution that Sparrow Mail has undergone since its beta days to emerge as one of the best mail clients that we have on the Mac App Store today. Sparrow has come a long way since its beta days and now supports all IMAP accounts including Gmail, MobileMe, Yahoo and custom IMAP. Sparrow features a three-column layout with accounts occupying the narrow left column, your list of emails in the middle column and mail content filling up the last one. Sparrow retains the minimal ‘Tweetie look’ by having a collapsible third column. The minimal look generated a lot of buzz during the beta days and is still a strong selling point of the app. Moreover, it switches between multiple accounts the same way, but that’s pretty much all the inspiration it takes from Tweetie. If you’re a Gmail addict you’d know there is hardly a native app for Mac that provides the same level of functionality as the web app. I’m not counting Mailplane in here as it is essentially a wrapper around the web view itself. Sparrow set out to put things in order and with the latest update it has moved closer to replacing Mailplane as the default mail client on my Mac. The first point update added support for Gmail labels, priority inbox and keyboard shortcuts. Gmail labels and folders can be edited straight from within Sparrow, helping you keep your inbox neat and tidy. The only small glitch that I encountered while using the app is that Gmail label colors aren’t synched over and if you’re used to color coded messages, then it would take some time to set things right by editing the label colors manually. Sparrow v1.2 came with a slew of new features that included unified inbox, threading by subject and Facebook integration, bolstering its strong feature set. Unified inbox was Sparrow’s much awaited feature and now with its inception you can browse emails from multiple inboxes under a single roof. 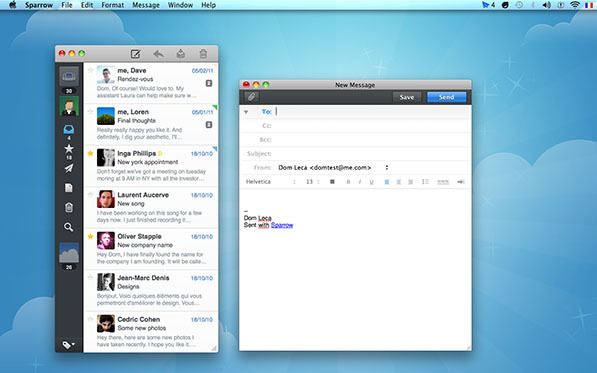 Sparrow claims to be the world’s first social email client by adding Facebook integration. Simply punch in your Facebook account details to populate the mailbox with profile pictures of your Facebook friends to make identification easier and make your inbox look prettier. Although the Facebook integration is nice and innovative, I absolutely love the way conversations feature has been implemented. It neatly bundles the message history while showing only the latest message in the conversation. The bundle is sorted chronologically displaying the timestamp corresponding to each message. 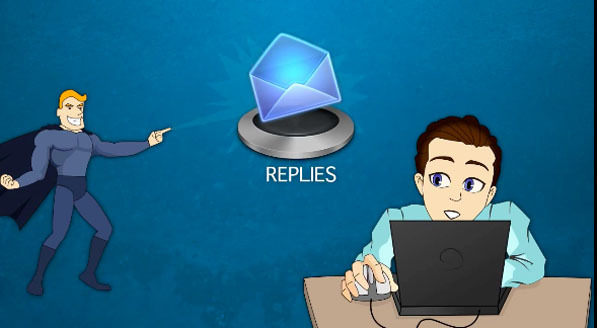 Also there is this really cool quick reply feature making replying to emails super quick. A click on the quick reply button and magically pops out a reply box atop the message without cluttering your workspace with another window. One can however bring up the compose window to reply to emails that comes loaded with a formatting bar allowing you to change fonts, font size, add lists, indent, align etc. Similar to Mail.app, Sparrow has inline attachments and Quicklook feature that lets you preview attachments without having to download them. Search bar is integrated into the app and can sort queries by sender, recipient, subject or mail content. The top bar has handy shortcuts to compose, reply, archive or thrash mail but once you get used to the keyboard shortcuts, you will not give a damn about the top bar shortcuts. There are plethora of keyboard shortcuts and memorizing them greatly enhances the overall app experience. Sparrow uses your chat avatar and associates it with your account, though you can assign a different one to each account. Signatures however, have to be set up manually for each account. MobileMe users will take comfort in the fact that Sparrow supports aliases and they are brought over automatically during account set up. While setting up a mail account, Sparrow can download the entire mailbox but if you have a really large inbox, you can check the option to download messages on demand, which limits the synchronization. Notifications are an essential part of any mail client and Sparrow acknowledges that and ships with Growl integration out of the box. Apart from Growl notifications, new mail alerts ring in with a chime and the unread mail count is displayed on the dock icon and the menu bar, all of these settings can be toggled in the preferences pane to suit your taste. 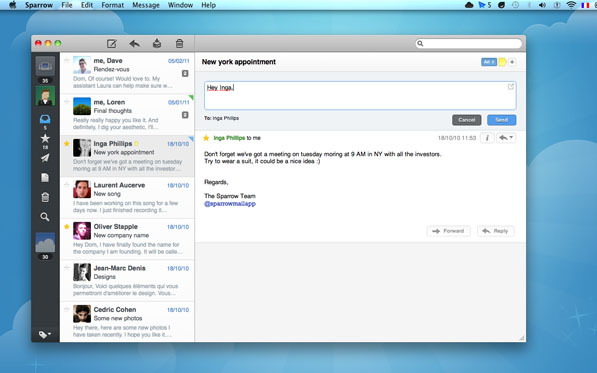 Overall, Sparrow pays attention to detail and is highly intuitive with an impressive feature set, making it one of the best mail clients for the Mac platform. Sparrow has an aesthetically pleasing interface and it goes about its job nonchalantly. The developers have added some cool animations that not only serve as eye candy but also add to the functionality of the app. I’ve used the enhanced Mail.app that Apple intends to ship with Lion and Sparrow is already a step ahead of it. Honestly speaking, Sparrow is close to being the perfect mail client for the Mac platform, for me atleast. With Loren Brichter, developer of Tweetie and Dave Morin, CEO of Path joining Sparrow’s advisory team, one can only expect Sparrow to touch new level of awesomeness. Sparrow retails for $9.99 on the Mac App Store and is worth every cent. Instagram’s popularity is something that remains a big mystery to me (and Aayush, too) considering it only allows iPhone users to upload photos. The service has taken off like a rocket and the onus of bringing it to other platforms has been put on third-party developers. Instadesk was the first app to take the leap for the Mac platform, but apps like Carousel and Instaview have also made their way onto OS X. Let’s take a look at these three Instagram apps for Mac today and see how they fare. 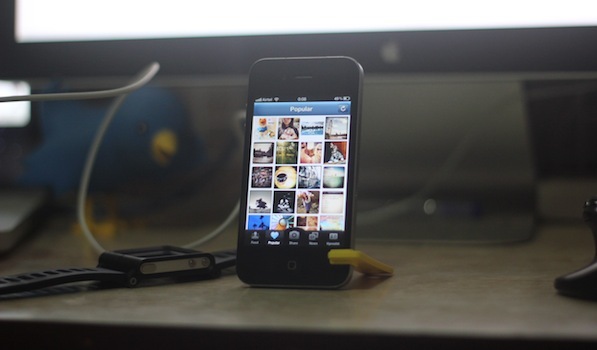 Instadesk was the first Instagram app for the Mac after they released an API for third-party developers. Taking full advantage of the API, Instadesk brings the whole Instagram experience to the Mac (except photo uploads, which the API doesn’t allow yet). 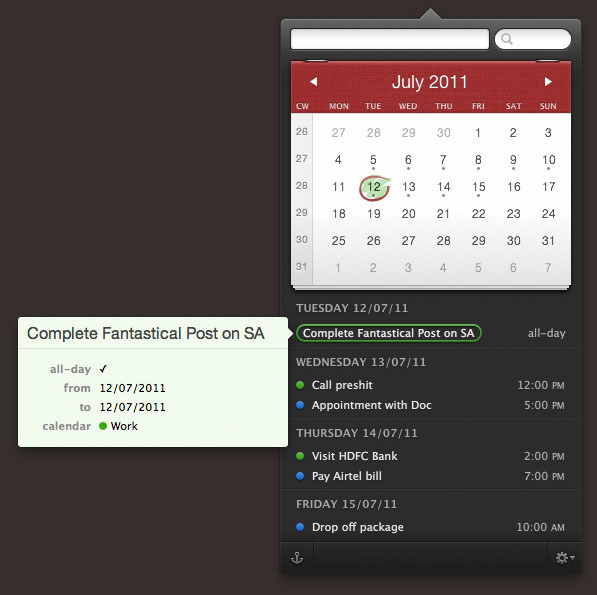 Unlike the other two apps we’re reviewing, features a conventional & typical native Mac app look and UI. It more-or-less reminds me of LittleSnapper with its placing of different sources in the Sidebar. The sidebar on the left gives you quick access to your own Feed, the Popular feed, Tags and News. The photos are laid out nicely in a grid layout against a dark background. Clicking on a photo opens it up in its glorious full-size, and information about the photo is displayed in a sidebar on the right this time. Here, you can view the Comments/Likes a photo as received, as well as leave your own comment. Icons in the toolbar up top allow you to Like, Share, Download or Open the photo in the browser. You can browse through the different photos using the arrow icons or even your keyboard. Instadesk also has a nifty slideshow feature that runs fullscreen and gives you a bunch of transition options to choose from. My desktop setup consists of a 15″ MacBook Pro connected to a 24″ Apple Cinema Display, and Instadesk allows me to run the slideshow in my secondary display while the primary display is left for other apps. You can even ‘Like’ a photo if you want and quickly get back to where you were, without interrupting the slideshow. Overall, while Instadesk is a great app, it feels a little unpolished to me. Having tried the other two apps in the post as well, I’d personally much prefer the custom, streamlined look of those apps than this native, full-blown look. So while Instadesk is functionally great, the UI keeps me from recommending it to anyone. It is available on the Mac App Store for $1.99. Carousel wasn’t the first Instagram client for Mac to hit the market but it surely is the best one yet. Carousel takes the traditional approach to display your Instgaram feed in a slick and elegant UI resembling a photo album. The interface is almost a no-brainer and using it is child’s play. There are five buttons along the bottom that toggle your view between the feed, favorites, your photos, likes and a search feature introduced in the first point update to the app. The search tab lets you lookup users or even tags which is bound to appease the twitterati. Each image in the feed is presented with the person’s avatar, timestamp and the location, provided geolocation was turned on while taking the picture. Tapping the avatar/username takes you to the user’s profile but the best part is how Carousel presents a feed of images geolocated around the same area when you click the location on an image. I almost jumped up in glee when I first stumbled upon this feature. One can Like a photo by pressing the heart or comment on it by tapping the word bubble. Both these actions bring up a iPad-like popover that shows people who’ve liked the photo or commented on it, but you can skip the popovers by using the option-click modifier. Carousel supports multi-touch gestures and also features a number of keyboard shortcuts that further simplify the app’s usability. Photos can be viewed in Preview by hitting the spacebar. This also means you can use Preview’s full screen feature to make the photo occupy all of your screen’s real estate. Other than this, you can save the photos to your Mac by using the good old Command-S keyboard shortcut. Notifications are available in the form of an icon badge and Growl is also supported. One can set the auto-refresh interval in the settings but there’s a refresh button in the app that lets you manually do the job. The app ships with a bunch of themes to give a refreshing new look to your feed. The latest update brought with it the ability to pin tags, locations and people to the search tab making it easier to keep track of things you like. Carousel does a brilliant job at bringing the perfect Instagram experience to the Mac which justifies the $4.99 price tag it comes attached with. It is only limited by the Instagram API which currently does not allow users to upload images from third-party applications. Instaview is the latest kid on the block in the Instagram for Mac arena. 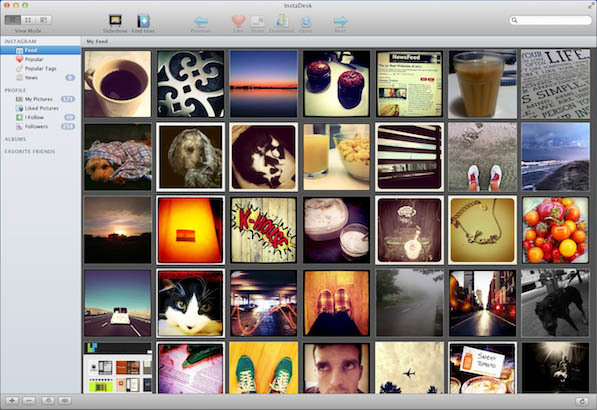 It takes a whole new approach towards displaying the Instagram feed on your Mac. Instaview, rather than presenting photos from people you follow in a single feed, lets create multiple windows showing different Instagram streams. So what is an Instagram stream, you may ask? A stream can be constituted by any one of the following–a user’s photos, photos you’ve liked, popular photos, located based photos or photos with a hashtag. The stream is encapsulated within a photo frame to give it an old-fashioned look. There are a bunch of frames to choose from but I personally love the ‘Metal Stand’ and the ‘Wide Wood’ ones. Photo information such as likes, comments, timestamp etc. is hidden in an overlay which is shown with a mouse hover. This saves space without compromising on functionality and I definitely prefer it over Carousel’s implementation. Instaview comes with multi-touch support and a customizable interface which certainly can be improved upon. 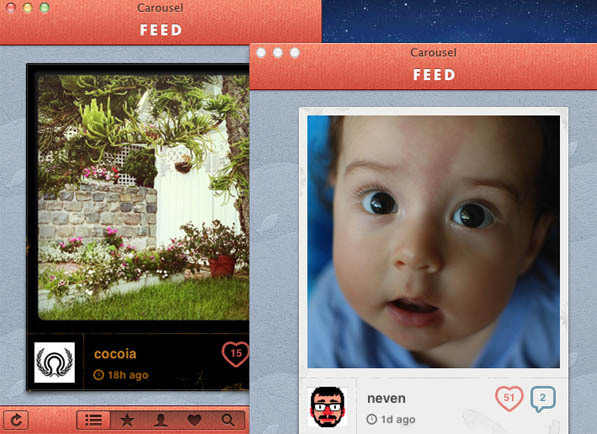 Just like Carousel, you can view and save full size images in Instaview. As far as notifications are concerned, badge on the icon and little paper in the corner of a stream are the two ways of getting notified of unveiled photos. Slideshow is the big weapon in Instaview’s armory. The individual streams suddenly start making a lot more sense with slideshow. As the name suggests, you can cycle through images in a particular stream by putting it on slideshow. The duration and sequence of the images can be tweaked in the slideshow options. 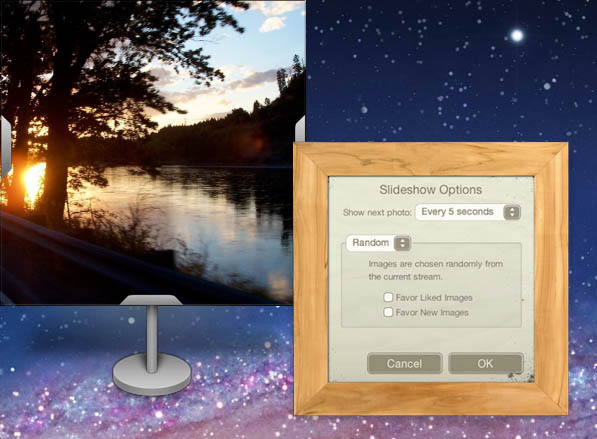 If you come to think of your Mac as a living room, then these slideshows would be the digital photo frames decorating it. RougeSheep likes to believe that users would enjoy multiple streams–and slideshows, of course–more than a single integrated feed but I’m not totally sold on the idea. It is certainly fun at times, but the clutter it creates on the desktop isn’t very pleasing to the eye. It is definitely not something you’d like to have when you’re trying to be productive. Although Instaview does let you view your Instagram feed in a single stream, if you wish to view favorites, popular photos or other such stuff, then creating multiple streams is your only option. On the whole, Instaview takes an aggressive approach towards Instagram and the initial reviews in the Mac App Store have been encouraging. You can grab the app for $4.99 from there. The native-full blown look of Instadesk seems a bit too overwhelming for a simple app providing access to a photo-sharing service. Instaview is the more fun and peppy way of going through your Instagram feed and I’m sure it’ll find its own niche of users. I however prefer the simple yet beautiful Carousel interface that houses all Instagram features under a single roof without creating clutter on my desktop. Instadesk is the cheapest way to go about things but both Instaview and Carousel retail for the same price, so take your pick wisely. Last year, Apple announced OS X Lion at its ‘Back to the Mac’ event. The focus of the event was how Apple had learnt from iOS and managed to improve OS X by incorporating features from it into Lion. 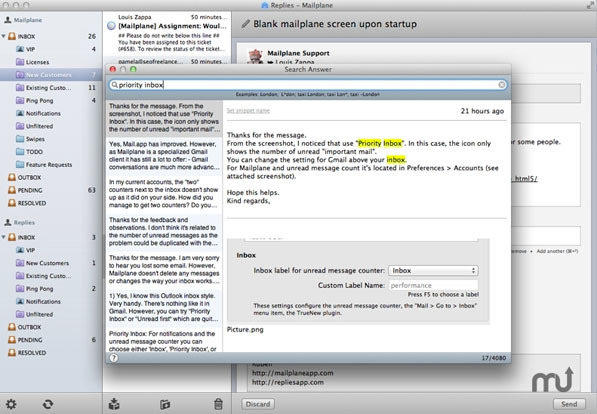 The developers at Pilotmoon Software decided to take cue from it and went a step ahead further and brought the familiar Copy/Paste bar from iOS to OS X with PopClip for Mac. 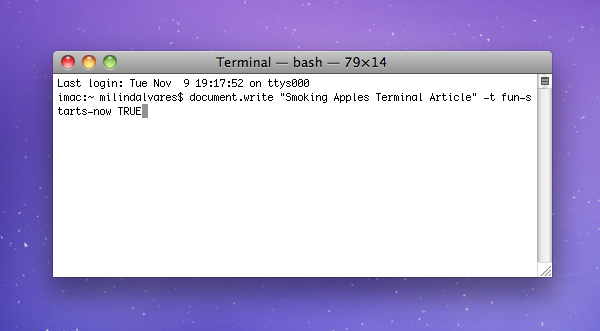 PopClip is a neat little bar that makes copying/pasting text faster and easier on your Mac. One doesn’t have to jump to the keyboard right after selecting a piece of text to be able to copy it. The bar pops up after selecting the text and lets you copy it with a single click. Press and hold the mouse button for a fraction of a second and the paste icon jumps out of thin air, letting you place your copied text right at that cursor position. The size of the bar can be adjusted in the preferences. Apart from the cut/copy/paste functionality, the developers have added some interesting new features to the bar in the latest version. 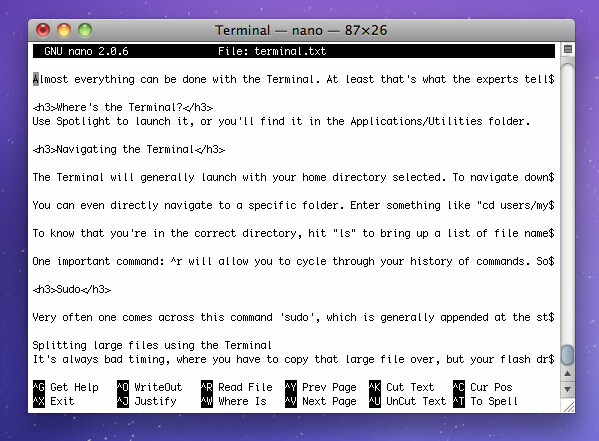 It now has web search, URL opening, spelling and dictionary integrated. Selected text can be searched on the web with a single click using the search button on the bar. If the selected text is a URL, clicking the link icon opens the link in the browser. The dictionary and spelling feature is self-explanatory. It would have been magical if clicking the dictionary button on the bar popped up the inline dictionary than open the Dictionary app. I hope that is something the developers consider bringing to the app in one of its next iterations. The Copy/Paste bar was truly a revolutionary feature for iOS when it was first introduced. 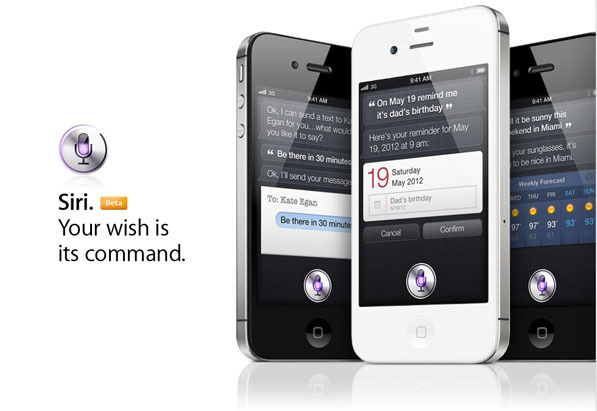 Looking back, you wonder why Apple themselves didn’t bring it to OS X Lion. Some might argue that sometimes the bar is bit intrusive on OS X as it pops up when you don’t expect it to and they do have a point, but leaving aside this small niggle, it has definitely enhanced my user experience on OS X. If you don’t like the bar popping up when working with apps like Photoshop, just include such apps in the ‘Excluded apps’ list in PopClip preferences. PopClip works with OS X 10.6.6 or later. It is available for $4.99 in the Mac App Store. A double thumbs up to the Pilotmoon Software team for this must-have nifty little app!